Carolina Panthers rookie running back Christian McCaffrey put All-Pro linebacker Luke Kuechly on skates in training camp. Luke Kuechly is perhaps the best middle linebacker in the game right now, but that doesn’t mean he’s not susceptible to a nasty juke. 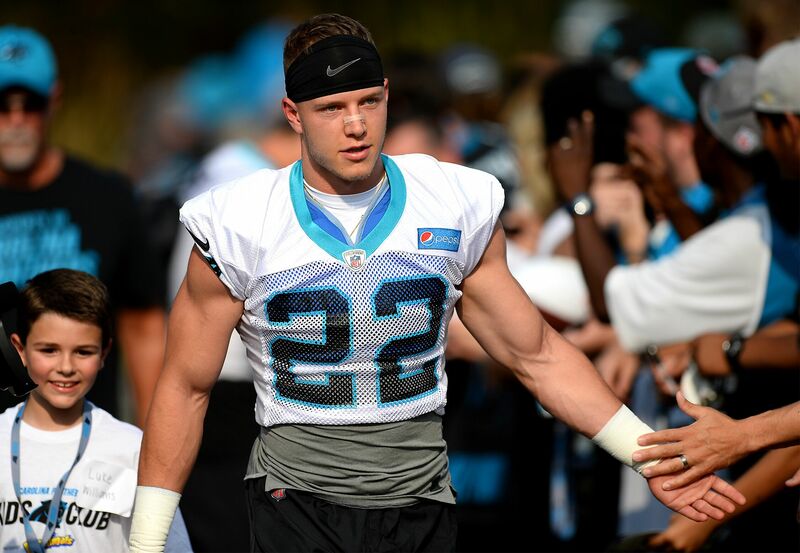 This juke on Wednesday in Carolina Panthers training camp came courtesy of rookie sensation Christian McCaffrey, and let’s just say it didn’t go end well for Kuechly. Yes it’s only training camp, but pads are on and guys are certainly going hard out on the gridiron. McCaffrey caught a pass and spun back to evade Kuechly, then swiftly cut to his left to evade him once again. It was a nice one-two punch that Kuechly will surely remember once they hit the field again. We have gotten used to seeing agile moves like this from McCaffrey, as he routinely embarrassed players in college when he was at Stanford. McCaffrey did it all for Stanford when he was there, accumulating over 5,000 yards from scrimmage in his three seasons there. This, of course, has surrounded him with plenty of hype entering the new season, as he is slated to be the starting running back for the Panthers come Week 1 of the regular season. McCaffrey is expected to be used in a lot of short passes, and screen plays, according to the Charlotte Observer, and for good reason. He has the ability to easily get past defenders as you saw in the video above, but also has enough size to wiggle his way out of contact as well. The Panthers will be looking to bounce back after they struggled for most of last season. However, this team was in the Super Bowl two seasons ago and they certainly have another dynamic weapon in McCaffrey who can help lead them back into the playoffs sooner rather than later.